Finding the time to exercise when you’ve got loads of housework – and laundry – piling up can be difficult, but this type of gym equipment means you’ve got no excuse not to work up a sweat. Yes, the Chinese do think of everything don’t they. Students at the Dalian Nationalities University in China have designed a bike washing machine that will wash your clothes while you pedal. 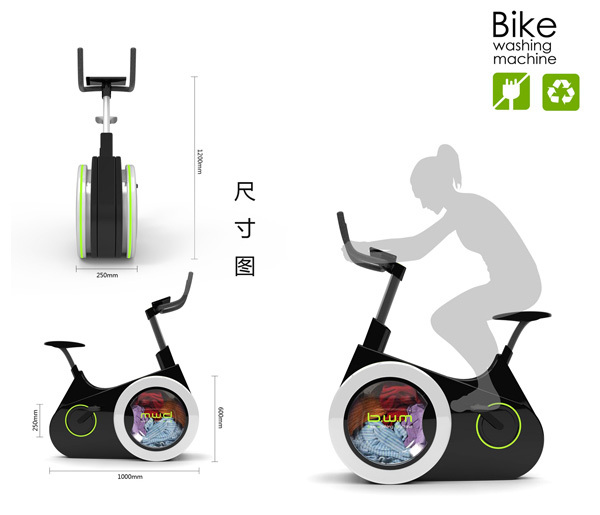 The invention is aptly called “Bike Washing Machine” or “BiWa,” and it aims to “bring health and convenience to our life” by combining a stationary bike and a washing machine. Considering the small size of the washing machine, it would undoubtedly take multiple spin cycles to complete your laundry. Much like the Drumi, a pint-sized washing machine that can fit almost anywhere, both inventions will probably not completely replace a laundry machine or a trip to the laundromat. 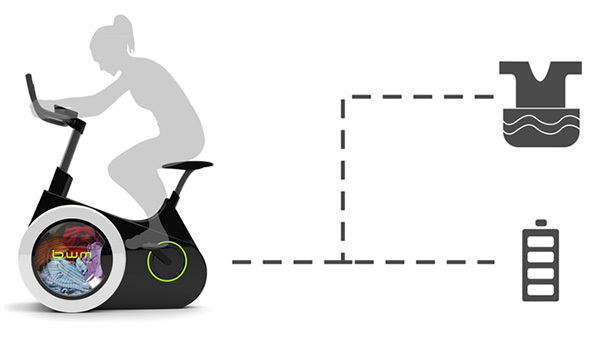 The Bike Washing Machine is just a concept at this point, so there aren’t a lot of details about how you would load in the water and detergent and where they would drain once the clothes are clean. There’s also one serious flaw in the design: After you power through your working and laundry, you’re just going to have to hop back on the bike to clean the clothes you just made all sweaty.